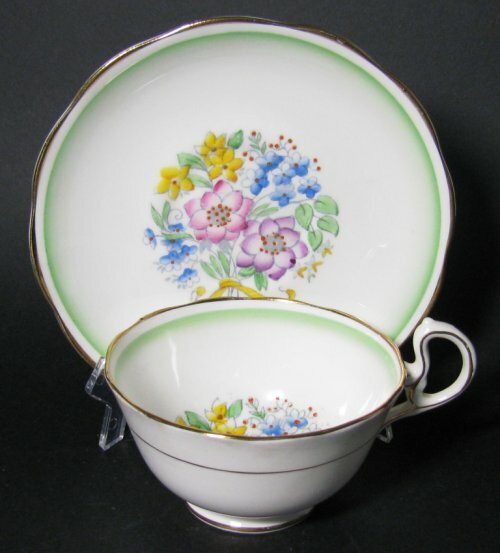 Vintage Royal Albert Deco Floral Pastel Teacup - Delicate! 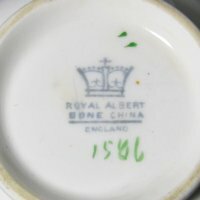 Royal Albert DELICATELY HANDPAINTED teacup with airbrushed green trim. The centers of the flowers are raised orange paint dots. The backstamp resernbles the mark of 1931-1935. 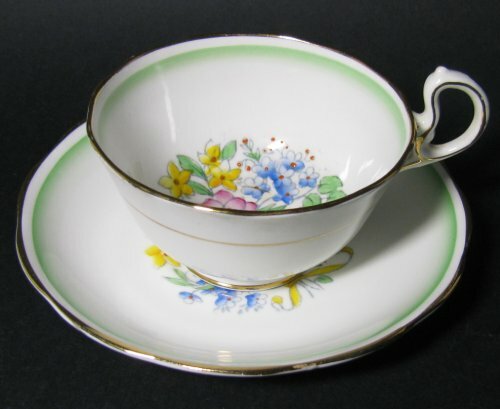 The cup measures 3 3/4" across, and 2" high. The saucer measures 5 1/2 inches across. 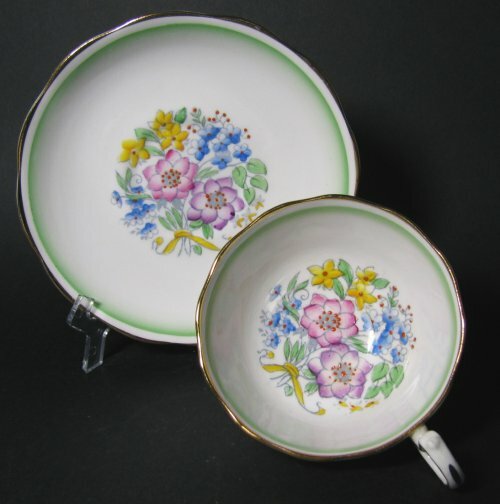 The set is trimmed in gold and is on ivory cream china.